In an effective tipping-of-the-hat fashion, Major Lazer and Danish recording-artist, MO demonstrate just how much they enjoy Frank Ocean’s music by eclectically covering his 2012 hit, “Lost.” It appears they eagerly await this months follow-up to Ocean’s now-classic, Channel Orange just as much as the rest of us. Trading-in Ocean’s defining r&b beats and soul-swagger for a more trippy, entrancing reggae-groove, Major Lazer do their best to shed a new image for the popular track through electronic layers and a high-energy level. While the melodies and lyrical intention are still the same, the song gets jacked-into an up-tempo drive showered in meta-rastafarian bongo-beats, streaming-synths, and rhythms gleaming of a sea-breeze. It’s still a love-strained ode, but now carries an islander soul. Given their propensity for a more tropical dance-groove in contrast to Ocean’s somber soul-crooning, Major Lazer’s most noticeable contribution to “Lost” takes shape in MO’s sensual vocal swooning. The Lazer Squad knows just how to incorporate the honey vocal-stylings of such singers like Ellie Goulding and Wilde Belle over their contemporary reggae-dance. While more than just singing over the textured nuance of electronic flourishes, MO seamlessly weaves her presence in-and-out, ushering-in an entirely new spirit to the song. That seamless musical-bond is at the very core of what makes Lazer’s dance-mantra so endearing. The cover of Frank Ocean’s “Lost” isn’t MO’s only collaboration with Major Lazer. On June 1st, Lazer dropped: Peace is the Mission. The record’s 1st single, “Lean On” features DJ Snake and MO comfortably at the vocal reigns. 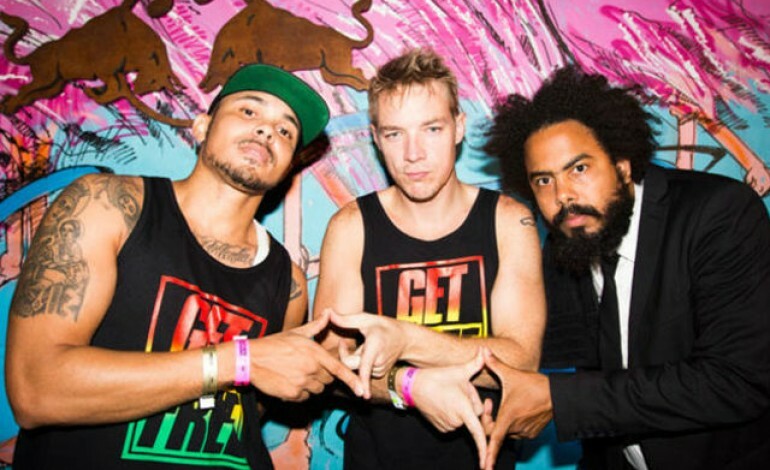 In just a brief half-an-hour time-span, Lazer: DJs Diplo, Walshy Fire, and Jillionaire pack a mean punch of reggae-infused dance music to accompany a threshold of vocal guests. On songs such as, “Powerful,” Ellie Goulding finds her path with reggae-artist, Tarrus Riley as they interchangeably dominate an EDM air-flow. “All My Love” showcases Ariana Grande’s ability to join musical-forces of festival dubstep-faire. “Light It Up” features Nyla courting her muse through what starts out as a smooth reggae-vibe, but then swiftly evolves into an arsenal of electronic prowess, fully-clad in retro arcade-game spatter and boom. While no solid date has been confirmed for the eagerly anticipated follow-up to 2012’s Channel Orange, the crowd will just have to wait and make-do with Major Lazer’s cover as a tease to suffice for Frank Ocean’s new music. Ocean’s new album, Boys Don’t Cry is set to release sometime before the end of the month.